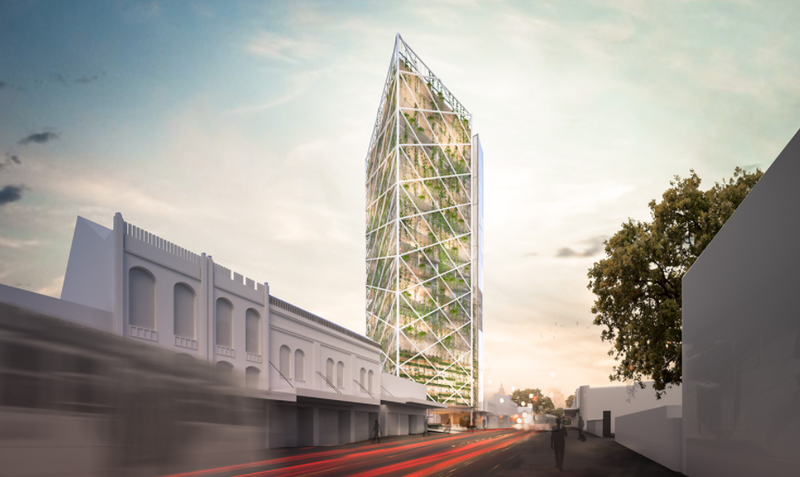 VicTrack and SMA Projects have unveiled 24 Chapel Street Windsor, a 20-storey building over an active rail corridor. 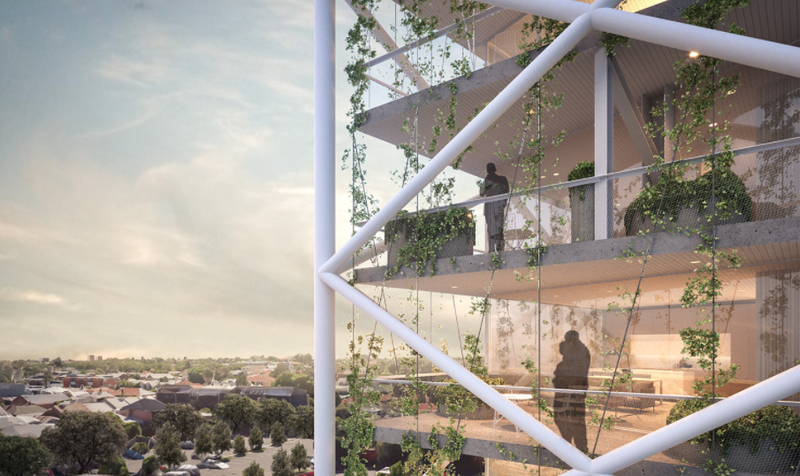 45 residential apartments will be housed across 15 levels, while a shared office space will be located on level four with an open ground retail space. SMA Projects will be the first Australian developer to undertake a residential project over active rail. Like leading global transit developments, 24 Chapel Street complements Windsor’s dynamic transport junction and pedestrian orientated precinct with superb engineering and delivers an exceptional product in partnership with JCB Architects. Strategically positioned at the southern gateway to Chapel Street adjacent to the Windsor train station, the building includes an open ground level with forecourt opening to Chapel Street and a complete view through to the rail corridor. 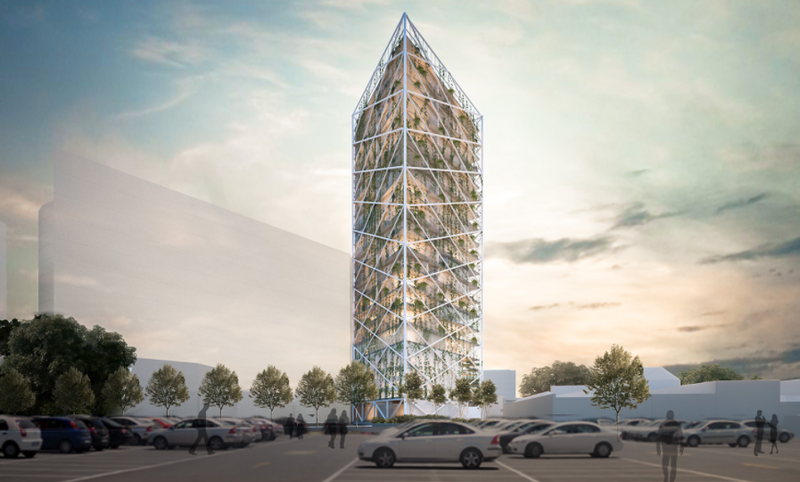 The result is a sustainable structure integrated with vertical landscaping and solar-capturing mechanisms attributing to a ‘net-zero’ energy target. The distinctive architectural response is provided by widely renowned practice, JCB Architects. Engages with highly skilled robotic engineers to design a car parking solution with the ability to be located above an active rail line. Identifies as a southern gateway to Chapel Street and the City of Stonnington. Provides benefits in several forms for the city and state. Reinforces the orientation of the rail corridor and Windsor station by aligning the building on the same unique axis. Initiates progression in the Windsor activity precinct creating a landmark building that maintains sight to the rail corridor from street level. Ensures meeting and in some areas exceeding the intent and objectives of state and local planning policies. Provides a new benchmark of sustainable design in Melbourne. 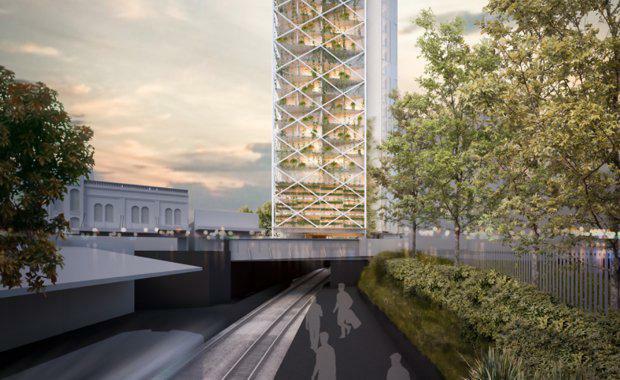 Integrates a tall building on a small site providing sympathy to overlays in the vicinity and fine grain nature of the area it surrounds while providing equitable opportunity to its adjoining 'Key Development Sites'.